On The Afternoon of 26th of June. 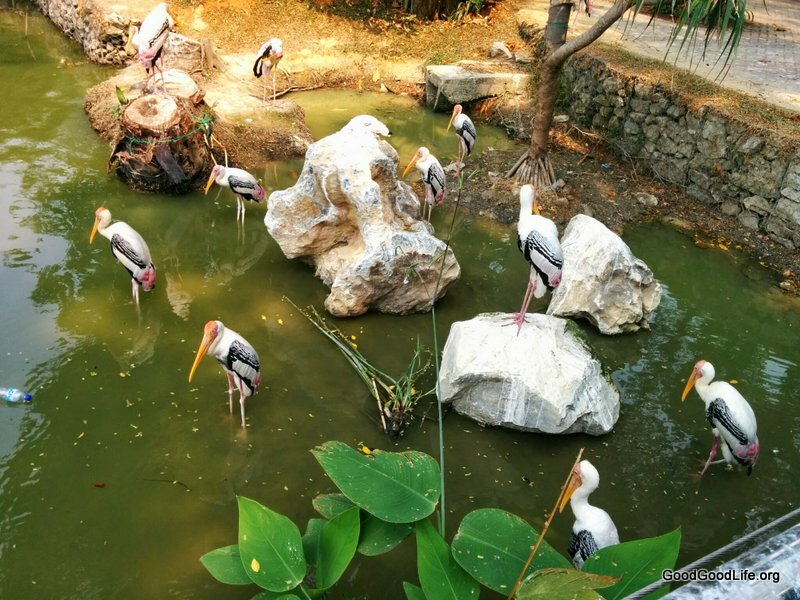 We were invited to cover the launch of the Panda Complex @ Malaysia’s Zoo Negara. This wasn’t our first time inside the complex. As covered in a previous post. This would be the first time we get to meet Xing Xing and Liang Liang. We met Liang Liang first. She was a gentle giant Panda. Who was comfortable with the crowd of adults and children swarming the walkways. She was behaving like a tourist on a beach. Just lazily doing some people watching while sunbathing. We were told that she had not moved much since the morning till the time we filmed her at 1.30pm. With Liang Liang being a boring subject of photography. We moved on to the next playpen. Containing Xing Xing. Xing Xing was a yin to Liang Liang’s yang. With Liang Liang just busy resting all day long. Xing Xing on the contrary was busy going on walkabouts. As can be seen by the video bellow. Another Differences was that Xing Xing’s fur was dirtier to Liang Liang’s lady like clean fur. It was probably due to Xing Xing’s activities that got him dirty. There was swarms of primary school children with us. Being children they were quite noisy. Although there were voluntary minders making sure the children quiet down whenever they children got noisy. When they have finally Left, leaving only a handful of people. We saw Xing Xing stop and finally took a rest. We were told Xing Xing has been pacing all morning and afternoon. Perhaps he didn’t like the crowd. And he’s walkabouts were more of a nervous tick. And perhaps Liang Liang was the more calmer one of the two. At the end of the tour we stumbled onto a souvenir shop. We shop and bought Panda Shirts. And move on to a peculiar cafe. Called the Panda Cafe. As expected, It had panda themed items, such as the panda paus and Panda Lolipop. 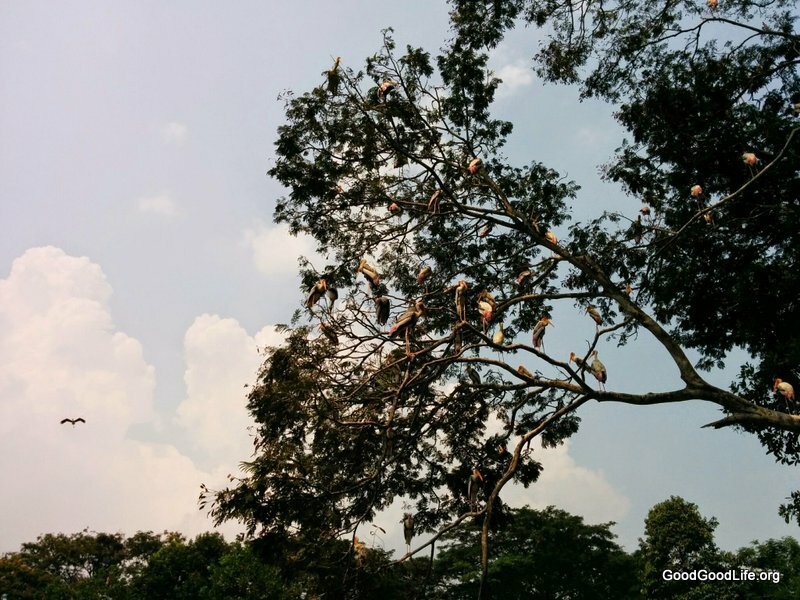 On our way we saw storks hanging out on trees and on the Lakeside. They were free to fly around. And they were majestic when they flew. To me they were the real Kings of the Zoo. We stumbled upon a stunning still Giraffe in Zoo Negara. On our way out, we though it could have been a statue. As it didn’t even blink. And had remain in the same posture and position as when we first saw it on arrival. As if to answer our curiosity, it started to move. 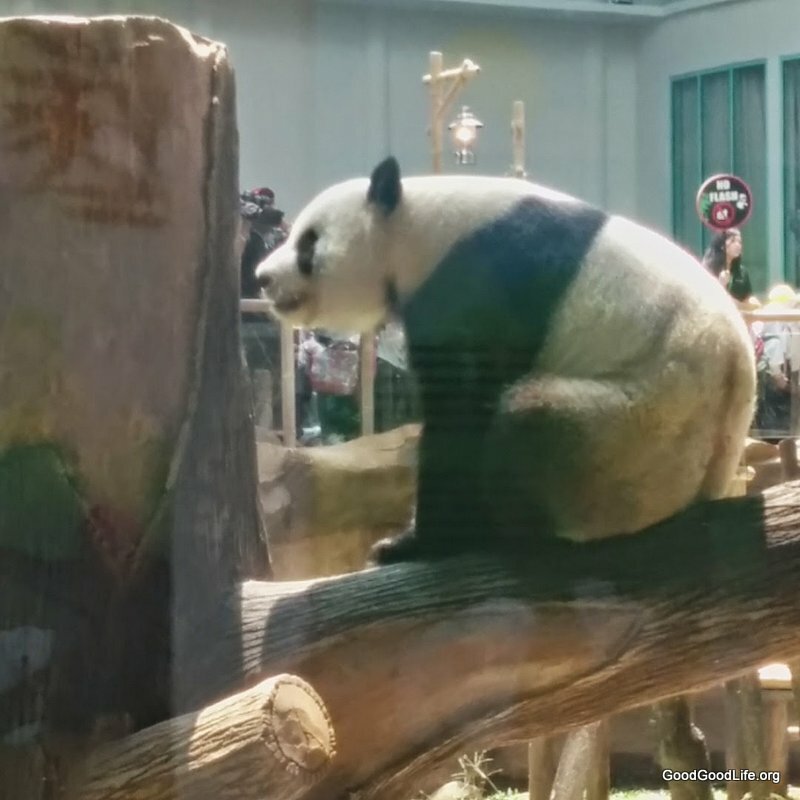 This entry was posted in News, Travel and tagged china, feng yi, fu wa, giant panda, liang liang, Malaysian, panda, xing xing, zoo negara by TheGoodGoodGuy. Bookmark the permalink.